Century Business Solutions has partnered with Smartwerks to deliver a singular solution to small business’ mobile payment needs: the Smartwerks POS mobile app. Using the Smartwerks POS mobile payment app, businesses can sell products to customers, keep track of inventory, and accept payment—all from an Android or Apple device, or from a tablet with internet access. Log into the Smartwerks POS mobile app with your Android or Apple device, or with your internet-connected tablet. With such a simple process, entire transactions can take less than a minute. The Smartwerks POS mobile app keeps track of inventory and balances payments—whether by cash, card, gift certificate, or check—with your general ledger and marks invoices as paid automatically. 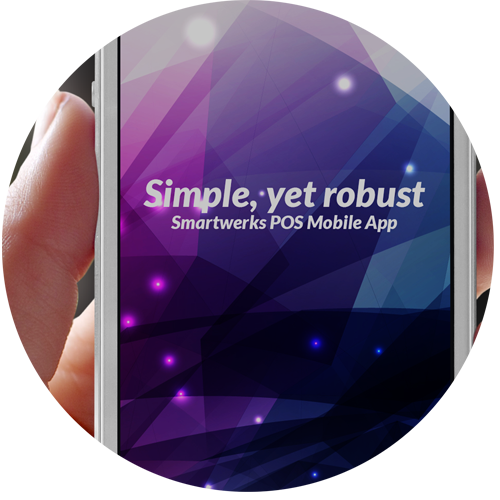 With all its abilities, the Smartwerks POS mobile app lives up to its name—it’s powerful enough to accept and track payments, inventory, and customers, yet easy enough to bundle into an app that fits into the palm of your hand. See why it really is a smart choice, and start accepting payments with your own Smartwerks POS mobile app today.